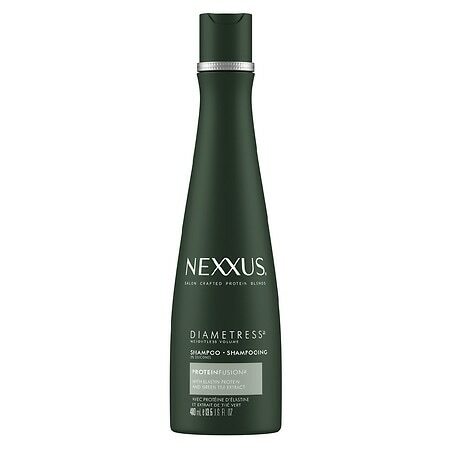 – Nexxus Diametress Luscious Volumizing Shampoo, 13.5 fl oz Experience Nexxus Luxury. – Volumizing Hair Care Products are scientifically proven to give you naturally lush, thicker hair. – Diametress Luscious Volumizing Shampoo, with a customized blend of Panthenol (B-5), Ginseng, and Flax Seed Oil, gently cleanses as it adds natural, healthy-looking fullness. – Together, they actually increase the diameter of the hair haft for noticeably thicker, healthier-looking hair. – For details, and styling how to s visit nexxus.com. – Fortified with Exclusive NexxuSphere time releases technology, containing: 1 1 Nutrients 2 Antioxidant 3 UV Protectors Satisfaction guaranteed on all Nexxus products.